Alexander appeared most recently in 52 Pick-Up at the 2014 Toronto Fringe Festival (Howland Company). Past productions include Higher, A Christmas Carol, and Once in a Lifetime (American Conservatory Theatre), Lady Julie (Campbell Historic House), Woyzeck (Shotgun Players), and Metamorphosis (Aurora Theatre; Bay Area Theatre Critics Circle Award). A graduate of the University of Windsor's BFA program and the American Conservatory Theatre’s MFA program, he is also a member of the Toronto-based Howland Company. 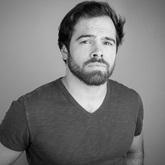 Christopher first appeared with Shakespeare BASH'd in Love's Labour's Lost at the 2014 Toronto Fringe Festival. His other theatre credits include Humber River Shakespeare (As You Like It; Twelfth Night), Nobody's Business Theatre (Scheherazade), Left Foot First Productions (In Pink), Theatre New Brunswick (Smokescreen; For Art's Sake; The Lion, the Witch, and the Wardrobe), Classical Theatre Project (Romeo and Juliet; Othello). 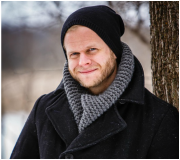 For Eastern Front Theatre, Christopher assistant directed two world premiers, Fall in Paris and The Passion of Adele Hugo, and was the Associate Curator of the 2011 SuperNova Theatre Festival. Christopher is a graduate of the Ryerson Theatre School. You can tweet with him after the show @christofow. Jeff is thrilled to be back with Shakespeare BASH'd and their production of Taming of the Shrew. Last seen in BASH'd production of Love's Labour's Lost this past summer, he is so excited to be working with such a talented cast and crew. He would like to thank his friends, family, and Anna for their continued support. Sit back and enjoy the show! An independent producer, arts manager, and comedienne working in Toronto. Core Producer with The Playwright Project (Davies Project - 2015; Shepard Project - 2013; playwrightproject.com), proud Company Member at Factory Theatre as Front of House & Events Manager (factorytheatre.ca), and Co-Founder and Artistic Producer with Another Theatre Co., for which she has produced and directed Adam Rapp’s Red Light Winter (Unit 102, 2010), Tennessee Williams' Mister Paradise (The Playwright Project; Tennessee Project - 2012), Anton Chekhov’s The Bear & Lady with a Lap Dog (Toronto Fringe 2012), Robert W. Service's The Cremation of Sam McGee (The Empty Room - 2013). Etc: Tim is the co-host of the popular "The Last Cast on Earth" podcast (available on iTunes and www.thelastcast.ca). Tim is a graduate of George Brown Theatre. Julia is a Toronto-based actor and producer, currently acting as the Artistic Producer of Theatre Caravel, where she co-curates the company’s popular new-works event, Sea Change, as well as producing for the award-winning Shakespeare company, Shakespeare BASH’d. For the past two years she has worked as the Managing Director of Theatre Columbus and is now part of the team at The Theatre Centre, as the Box Office & Front of House Manager. As an actor, Julia recently performed the title roles in Daniel MacIvor’s See Bob Run (Theatre Caravel), and 2012 Best of Fringe winner The Taming of the Shrew (Shakespeare BASH’d), as well as the appearing in the critically acclaimed Shakespeare BASH'd productions of Much Ado About Nothing, Love's Labour's Lost, and Romeo and Juliet. Catherine Rainville is very excited to be working with Shakespeare BASH'd again. Last summer she played Katherine in Love's Labour's Lost. Other credits include: Lauren in Circle Mirror Transformation (The Great Canadian Theatre Company), Juliet in Romeo and Juliet (Classical Theatre Project), Viola and Sebastian in Twelfth Night (Classical Theatre Project), Young Mary in Strange Mary Strange (Summerworks 2011), Quinn in Aftershock (Summerworks 2010) and Ruth in Softown (AfriCan Theatre Ensemble). She graduated from George Brown Theatre school. David is thrilled to be reprising his roles with Wally, Robbie and the beautiful team of artists on The Taming of the Shrew. Past Shakespeare BASH'd productions include: Macbeth in Macbeth; Don Adriano de Armado - Love’s Labour’s Lost; Capulet - Romeo and Juliet; Don Pedro - Much Ado About Nothing; Grumio, Vincentio - The Taming of the Shrew. Other credits include: Richard III (Shakespeare in the Ruff); Brave Hearts (Harry Warren Theatre, Brooklyn); Waiting for Godot; I Had a Job I Liked. Once. (Sudbury Theatre Centre); Wild Abandon (Theatre Caravel); Romeo & Juliet (Signing the Bard, Kennedy Cathy MacKinnon); Frankie & Johnny (Apuka Theatre); Half Life; Two Gentlemen of Verona; As You Like It (Brampton Theatre Festival); King Lear (Hart House); Macbeth (Classical Theatre Project). After leaving his engineering career and his hometown Mennonite community David trained in the University of Windsor’s BFA Acting Program. As always, he would like to thank his family and friends for their support of his wonderful career! In 2010, James founded Shakespeare BASH’d in order to take responsibility for his creativity by producing the plays of Shakespeare and his contemporaries in the city of Toronto. For the company, James has directed staged readings of Romeo and Juliet (2010) and A Midsummer Night’s Dream (2011), as well as the full production of Romeo & Juliet at the 3030 Bar. He played Petruchio in the company's Best of Fringe winning production of The Taming of the Shrew in 2012 and played Benedick in their sold-out production of Much Ado About Nothing in the 2013 Toronto Fringe. Jade Douris is a Toronto-based actor and producer. Recent acting credits include Moth in Love's Labour’s Lost (Shakespeare BASH'd), Dromio of Syracuse in The Comedy of Errors (Urban Bard), Hermia in A Midsummer Night's Dream and Ophelia in Hamlet (Shakespeare at Play). Jade was an associate producer on Macbeth (Shakespeare BASH’d). She is the Artistic Producer of Everybody to the Theatre Company, having produced and appeared in The FAILURE Show (Halifax Fringe, Best Ensemble Cast jury award). She is a member of Fracas Theatre, having co-produced the critically acclaimed Raton Laveur (2011) and Toronto Fringe Best New Play/Patron’s Pick winner The Oak Room (2013). www.jadedouris.com, Twitter: @jadedouris. Jenn has worked with Shakespeare Bash’d since its inception, and is thrilled to be back to remount The Taming of the Shrew. Other fight direction credits for Bash’d include Macbeth, Romeo and Juliet, and their original production of The Taming of the Shrew. Jenn has been training, teaching, and directing fights for theatre since 2006, and is a member of The Academy of Dramatic Combat. Previous fight direction credits include productions for Ryerson University, Humber College, York University - Glendale College, Beacon Theatre, amoung others. She is also a stunt performer and has been featured on various television shows and films. Jenn is currently in the acting company at The Shaw Festival in her third season. Look for her in Shaw’s You Never Can Tell, and Pygmalion. Shera is eager and energized to once again have the opportunity to work with the extremely talented and passionate cast and crew of Shakespeare Bash’d. With a background in film production and event coordination, Shera is thrilled to have the opportunity to again participate in the passionate world of theatre. Previous credits include: Stage Manager - Reasons to be Pretty (The LaBute Cycle), Romeo & Juliet (Shakespeare BASH'd); Assistant Stage Manager - Rabbi Sam (Teatron Theatre); Producer – Express (2009), Laughing Out Loud (2011), Edit > Undo (2013) (all for Chakra Films); Co-Founder and Coordinator – Cuttin’ It For Cancer (arts awareness initiative and fundraiser in association with the Canadian Cancer Society); Wardrobe/Assistant Art Department – Love You Forever (Chakra Films, 2006). 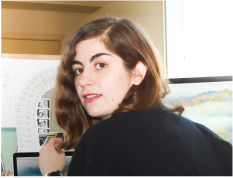 As a graduate of York University with a Bachelor of Arts in Film History, Theory and Criticism, Shera is a lover of all art forms and relishes the opportunities to engage in all aspects of production in the creative community. A graduate of the University of Guelph, Rob joined Shakespeare BASH'd in the spring of 2012. Rob produced the sold out Fringe Festival hit, The Taming of the Shrew, and has been producing their sold-out shows ever since. An advocate of multiple art forms, Rob cut his teeth working with the Executive team at the Toronto International Film Festival, where he worked closely with the CEO, Executive Director and COO, CFO, and Board of Directors. Working with the Executive Team, Rob has developed a keen sense for arts management, which he is now utilizing as a Project Manager on TIFF's Special Projects team. Rob is thrilled to be producing the remount of the very first show he ever worked on with Shakespeare BASH'd, and is looking forward to welcoming you to the Monarch Tavern!